_ Louise Markus has been painting for 15 years. 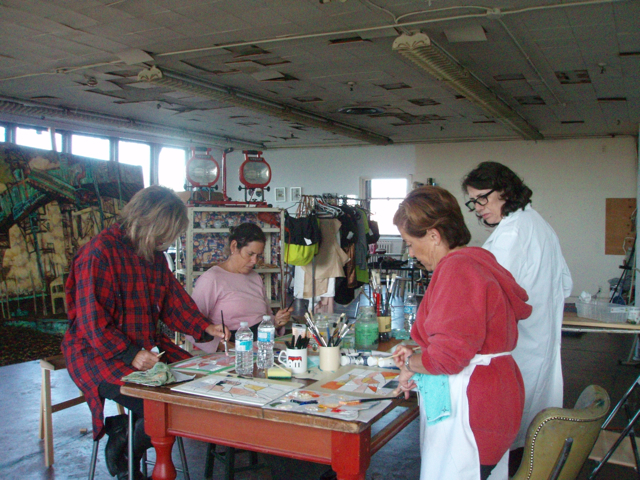 She was the founder, head curator/coordinator of Roy Street Collective an art and architecture collective housed in a renovated fish warehouse in Montreal’s trendy neighbourhood, Plateau Mont Royal. The collective mounted multidisciplinary happenings that included circus, architecture, dance, visual art, live music, hip hop art events – the list is endless. 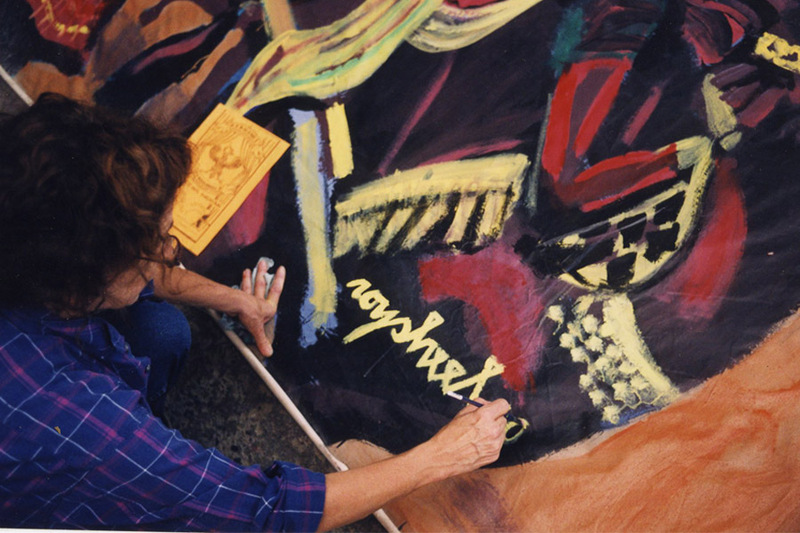 Workshops were tagged on to every event whether it was mask making for a play, painting a banner or creating the tableau in the Roy Street Collective’s exterior showcase window. 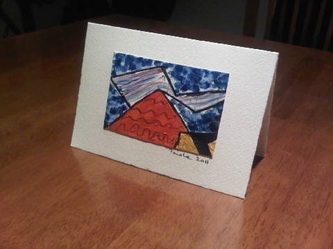 Markus’s primary interest in art is connecting with community and inspiring people towards making art. 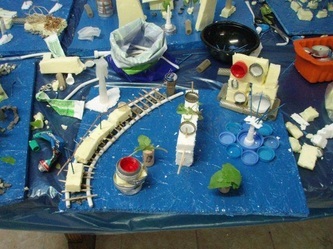 Classes and workshops are geared to encourage both the beginner and advanced while learning technique, design and creative thinking. 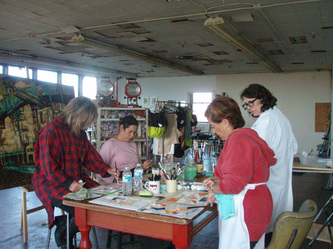 Markus’s studio can accommodate from 1 to 4 participants. 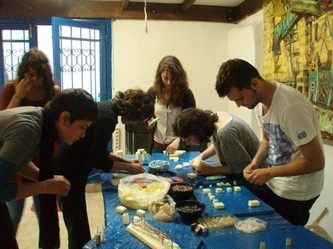 A typical workshop will last 2 hours and costs vary according to size of group. Markus is also available for personal mentoring. 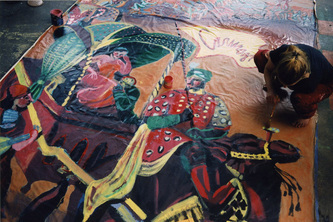 Painting a banner for circus collective Carnaval Carmagnole. 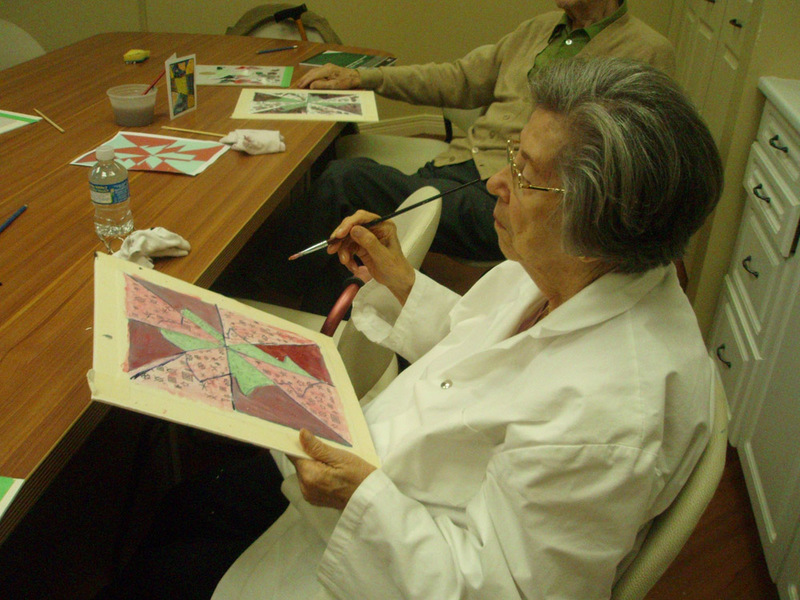 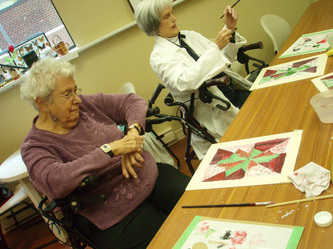 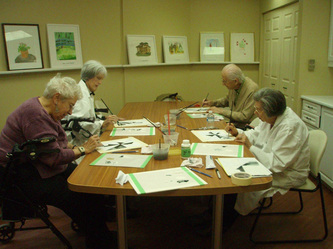 A painting workshop at Place Kensington Senior's Residence where the median age was 90. 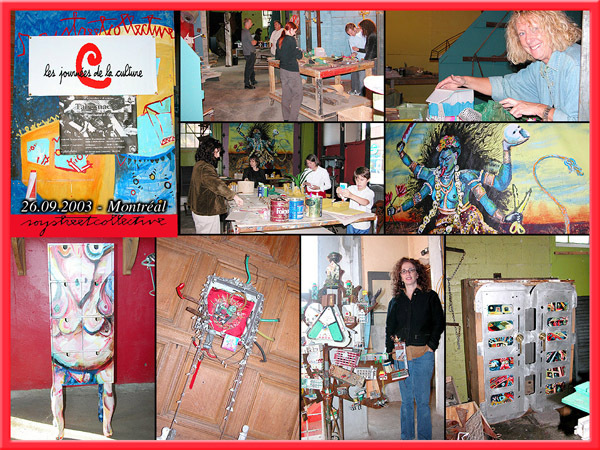 A group in the Montreal studio and some of their creative gems. 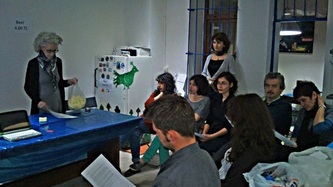 Louise Markus describes the junk workshop to a group of enthusiastic participants at Halka Art Project in Istanbul, Turkey. 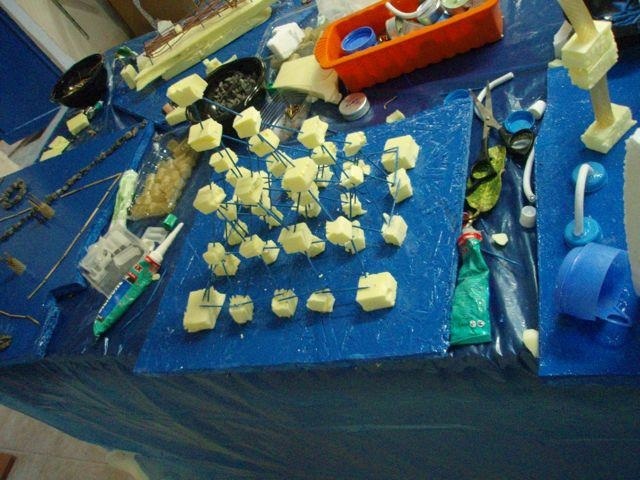 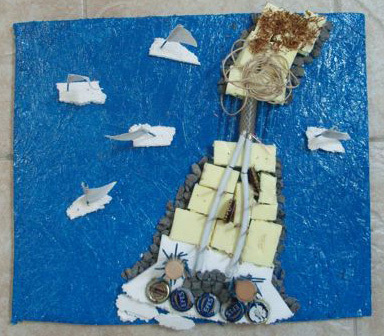 The workshop is about using recycled materials: bottle caps, old string, styrofoam packing, old nails etc. 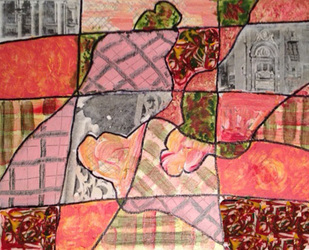 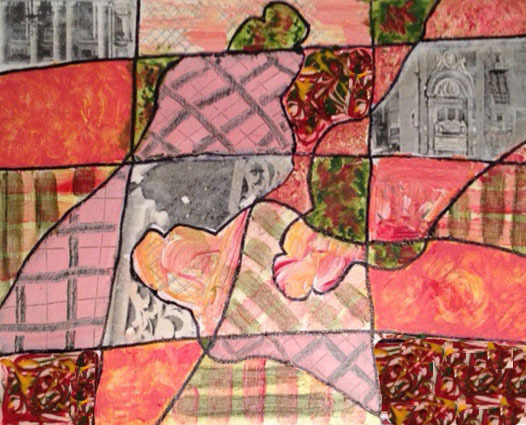 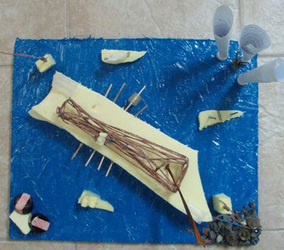 to create aerial views of a favorite place: a playground, park, cityscape or imaginary place.